Combine the turmeric powder and flour together. Depending on if you have oily or dry skin, combine in whichever ingredients are needed to aid your skin type as listed above in ingredients list. Once you have the consistency you like for a mask, apply to your clean face and neck and leave it to sit for 20 minutes. Rinse mask off with warm water and a wash cloth that you don’t mind getting stained (turmeric powder stains). Gently pat your skin dry and apply an oil-free moisturizer to your face and neck for moisture. Be careful with turmeric powder because it does stain so don’t wear nice clothes while using this mask! Turmeric is a beautiful spice and vibrant yellow in color that is most commonly found in Middle Eastern, South Asian, and Indian cuisine. But it is also wonderful for your skin as well! Many Indian women use this mask as a skin brightener and believe us – it will truly brighten your skin. You just need to be forewarned, if you have fair skin, it will stain your skin for a few hours but it will fade shortly thereafter. 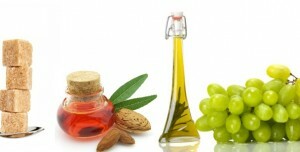 For those with dry skin, olive oil will hydrate your skin like nothing you have ever experienced before. It will not clog your pores or make you oily, though the oil does feel greasy at first. But it will not make you oily. The olive oil will soak into your skin and nourish your dehydrated skin. You will love it. 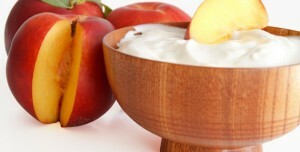 For those with oily skin, the organic plain yogurt will hydrate your skin without making you more oily. It will just soothe and soften your skin. The lemon juice works as an astringent that will minimize the oils that surface your skin and cause you such frustration. 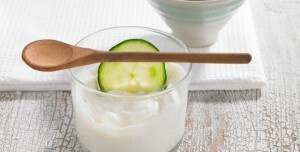 It will also leave your skin even more glow-y and refreshed. 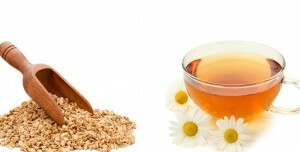 Home remedies for beauty work very well and they are cheaper andf safe to use. I use kitchen ingredients to take care of my face and these work very well. My facial skin is very smooth – no wrinkles – no dark circles and no pigmentation. The only problem I find when I advise others is that they do not believe these natural ingredients will work and also they lack persistence – they try may be twice and they give up. Whenever I am at home after work or weekends – I have ample time to apply these face masks – I use egg white and egg yellow masks daily in the morning and hey it works wonders. I would suggest using cornflour in this face mask and another substitute for the organic yoghurt could be milk. 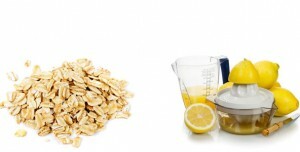 Also another substitute for the olive oil could be almond oil. 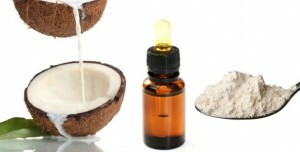 I have oily skin and use a combination of milk, cornflour, turmeric powder 2:1 ratio and 1 tspn almond oil. It’s brightened my skin, helped clear my acne marks as well as lighten my dark circles. Can you use coconut oil instead of olive oil??? ?